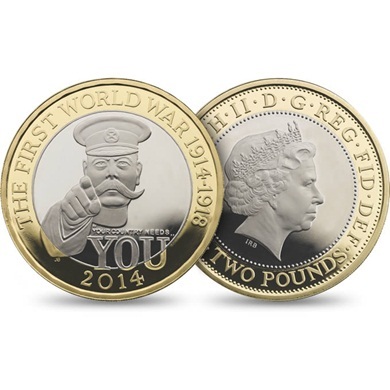 The Royal Mint has issued a commemorative £2 coin marking 100 years since the outbreak of World War One. It is the first coin in a five-year series that will remember key events in the conflict from outbreak to Armistice and has been designed by sculptor John Bergdahl. 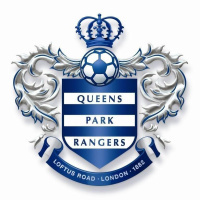 The first coin to be released features Lord Kitchener and the ‘Your Country Needs You!’ slogan used on a recruitment poster which is understood to be a variation of the cover illustration of a 1914 edition of London Opinion magazine, designed by graphic designer Alfred Leete. 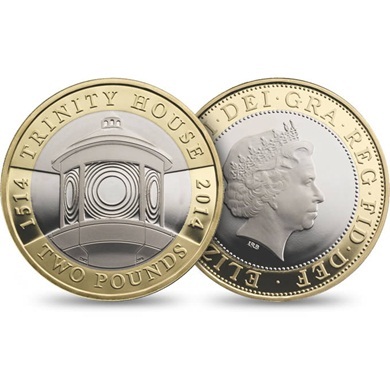 The coin will enter circulation alongside other commemorative coins including a second £2 coin designed by Joe Whitlock-Blundell and David Eccles, which celebrates the 500th anniversary of Trinity House, an organisation which has served Britain’s mariners since the time of Henry VIII. 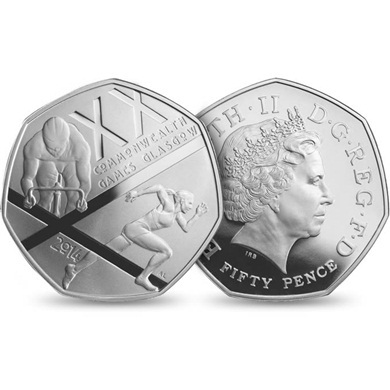 An official Glasgow 2014 Commonwealth Games 50p, designed by Alex Loudon and Dan Flashman, has been unveiled, featuring a cyclist and athlete above the Saltire of Scotland. 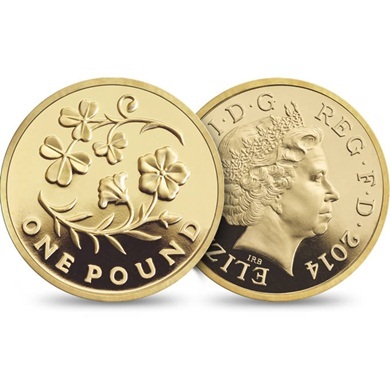 Completing a series begun in 2013, two £1 coins have been released, one featuring flax and shamrock to represent Northern Ireland and another featuring a bluebell and thistle for Scotland. Last year this floral series, designed by Timothy Noad, saw the introduction of a £1 coin featuring a rose to represent England and another featuring a daffodil to represent Wales. 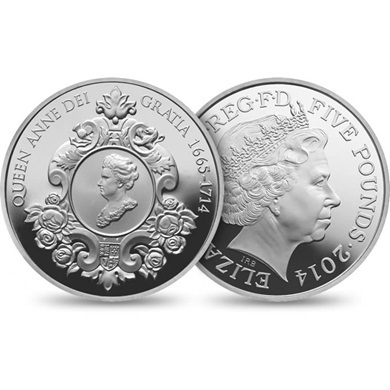 Meanwhile a special edition £5 crown coin celebrating the life and legacy of Queen Anne 300 years after her death has been released. 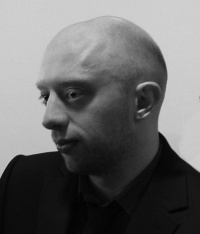 It is designed by Mark Richards FRBS, creator of the £5 crown struck for the wedding of the Duke and Duchess of Cambridge. When can I buy £2 coins pls?